The latest data from Contracting Scout’s Contractor Confidence survey shows that contractors are a committed part of the UK’s workforce, with the majority not having had a sick day in the past two years. 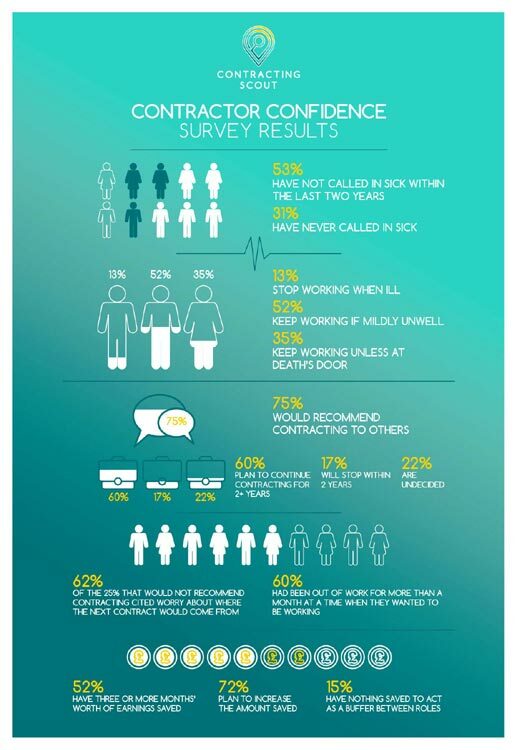 Some 53 per cent of respondents haven’t called in sick in the last two years, with 31 per cent of these having never called in sick. While 13 per cent of contractors stop working when ill, 52 per cent continue working if they’re mildly unwell and 35 per cent soldier on unless they’re at death’s door. Will Ryles, Head of Recruitment at contractor specialists Contracting Scout, comments: “Contractors are a very reliable part of the workforce, with the majority carrying on with projects unless they’re very sick. There is of course a financial incentive for them to do so as they do not receive sick pay, but this also shows that if you want something done on time, contractors can be an excellent option. Most contractors seem happy with their working life, with three-quarters (75 per cent), saying that they’d recommend becoming a contractor to others. The majority (60 per cent) also plan to continue contracting for at least the next two years, if not indefinitely, with 17 per cent wanting to stop in the next two years, and 22 per cent undecided. Of the 25 per cent who said they wouldn’t recommend contracting, the majority (62 per cent) cited worry about where the next contract would come from as the reason. 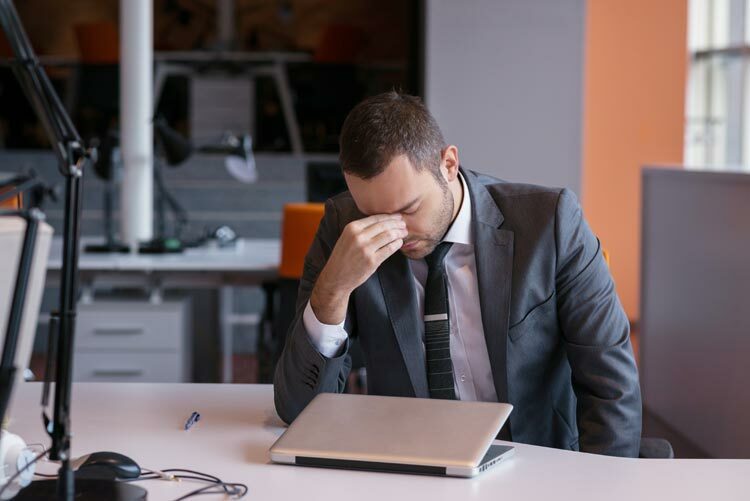 The study suggests this is a potential risk for the majority for contractors, with 60 per cent saying they had been out of work for more than a month at a time when they wanted to be working. However, most contractors have prepared themselves well for gaps in employment. Some 52 per cent have three or more months’ worth of earnings set aside, while 72 per cent plan to increase the amount they have saved. Will Ryles adds: “We recommend that contractors have three months’ worth of earnings saved that they can draw on should they have unwanted time between contracts. While it’s encouraging that the majority do have this, there’s still a lot of room for improvement as seven per cent have less than a month’s earnings and 15 per cent have absolutely nothing to act as a buffer if it takes longer than expected to secure their next role. With 60 per cent of those surveyed saying they’ve experienced a gap of more than a month between contracts, this is a sobering message for those with few resources to draw on. Contracting Scout is a new resource for contractors and recruiters. It offers contractors everything they need in one place, including a CV listing service, accountancy support, payment options, mortgage assistance and insurance solutions. Real people are always available to help with questions. Recruiters can submit contractor vacancies to the jobs board for free and there is a database of contractor CVs to search.